EVOQ, in joint venture with Dan Hanganu Architectes, have won the design competition for the expansion of the Maisonneuve Library in Montreal. 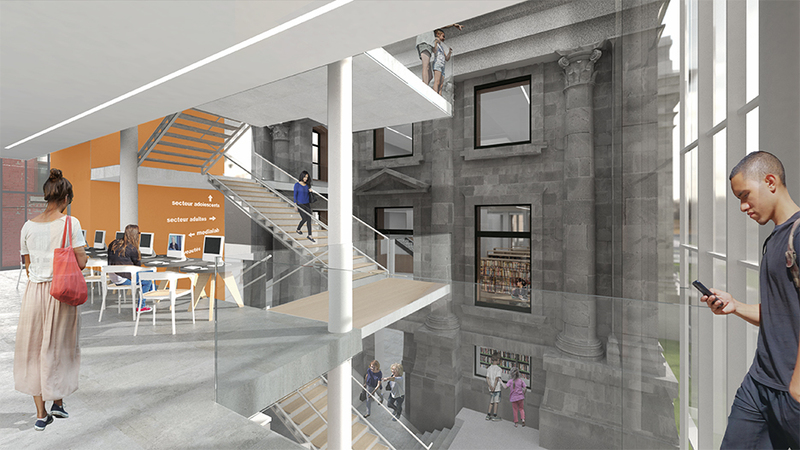 The project will feature the rehabilitation of the historic building, flanked by a new glass addition. 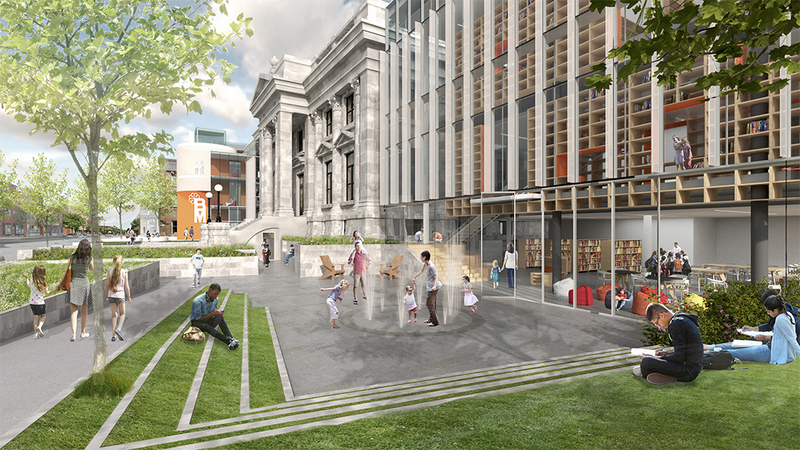 The expanded library and its redesigned outdoor public space will reinforce the library’s presence within the cultural hub of the Mercier-Hochelaga-Maisonneuve District of Montreal. 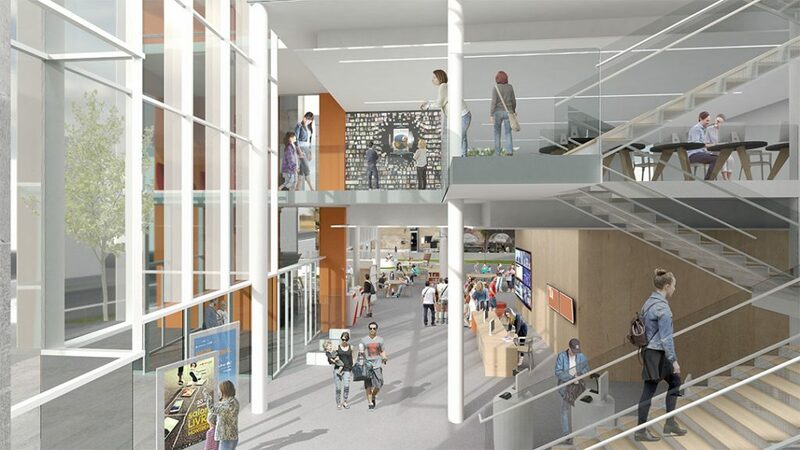 The project is targeted for completion in 2020.